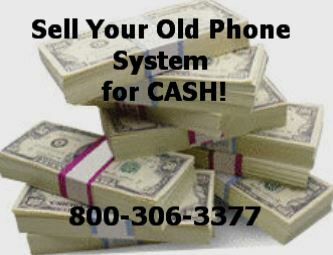 About Refurbished Toshiba phones Telephone systems from Craig Communications. Welcome to the Toshiba phone system solution page. Here, we carry ALL the Digital and Analog Series Telephones, including the popular DKT model telephones used with the Toshiba Strata phone system. At Craig Communications, we offer all of our telephone systems, including DK16 Strata refurbished toshiba phones,the new CTX100 and CIX100 at prices your company can afford. If you are searching for ways to enhance your telecommunications sytems, our Toshiba Strata and DK424 or Dk16 Strata models are popular choices for many small businesses nationwide. We offer both new and refurbished Toshiba phone components for your convenience, offering you the same great-quality product you expect from Toshiba at a price much lower than traditional rates. We now carry the new DP5000 Series. In addition we carry the 3000 series Telephones, the new Toshiba IP phones (IPT 2010 and IPT 2020) and the 3200 Series refurbished toshiba phones. Both backed by our one year warranty. If you are looking for a Toshiba cordless phone, for your system, we suggest the popular DKT 2304 cordless phone. This Toshiba phone integrates quite well with your existing Toshiba phone system. The DKT 2104 and DKT 2004 have been discontinued. So, if you are looking for a wireless phone solution for your Toshiba phone system, we recommend the DKT 2304 cordless phone. Call us today to compare the differences between the DK16 Strata, the DK424, the new CITX40, the CTX100 ,CIX100 and all other DKT Toshiba phone models and systems. Dont forget to ask us about the new DP5000 series phones!